Sometimes, the so-called silver spoon doubles up as another proverbial instrument - the double-edged sword. You seize your chance and they’ll say you had it on a platter; you fluff it and they’ll taunt you for throwing away the opportunity bestowed upon you. Ask Alia Bhatt. Being the daughter of the illustrious Bollywood director, producer and screenwriter, Mahesh Bhatt, and former actress Soni Razdan, there was always the half chance that Alia would step into showbiz. A cameo as a child actor in the 1999 Akshay Kumar-thriller Sangharsh made it all the more certain. And soon enough in 2012, at just 19, she debuted as the female lead in Karan Johar’s romantic drama Student Of The Year opposite fellow newcomers Sidharth Malhotra and Varun Dhawan. The movie did well financially, raking in ₹ 700 million domestically and Alia stole the show . Film critic Taran Adarsh was all praise: Extremely photogenic, Alia makes a super-confident debut. Shubra Gupta observed that Alia was a " surprise" and that the portrayal of her character was "easy and fresh and natural." She won the Screen Award and the Zee Cine Award for Best Female Debut while also bagging nominations at the Filmfare Awards and the Stardust Awards in the same category. All in all, it was a debut that held a lot of promise. 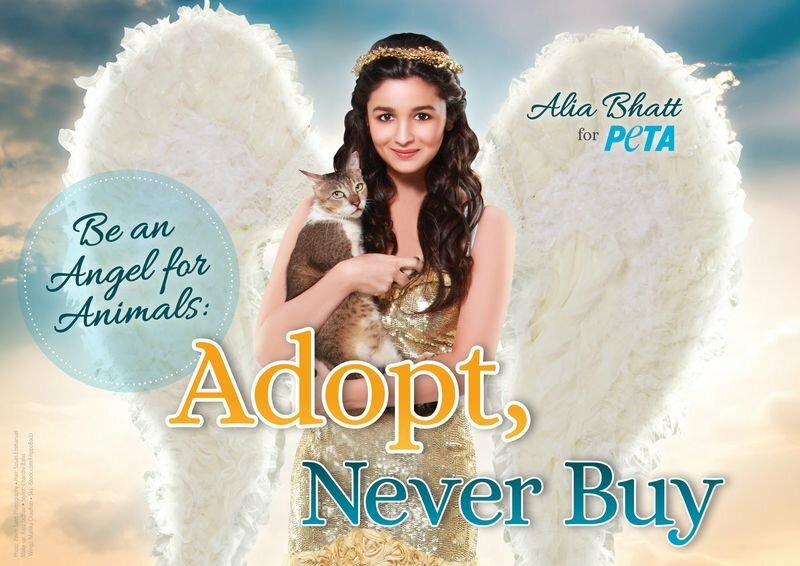 With the success of the movie, Alia turned into a household name. Interviews and television appearances followed and that's when the infamous Koffee With Karan fiasco happened. In the rapid-fire round, she hastily blurted out the wrong name when quizzed about the Indian President. "Prithviraj Chauhan," she confidently yelled out. In today's unforgiving age of social media and faux pas trends, that would prove to be a costly blip. Word got around that she had never given her Class 12th examinations and memes of her being a brainless bimbette started doing the rounds. Truth be told, we too are guilty of having some fun at her expense. Anyone who's been to Bollywood will tell you that first impressions are difficult to shrug off and once you've been typecast, it's very difficult to change public perception and mindset. But credit to Alia, she turned it around. She teamed up with All India Bakchod and released a spoof video, Genius Of The Year . Needless to say, it went viral. Almost overnight, she went from laughing stock to everybody’s darling. The people who were earlier laughing at her were now laughing with her. 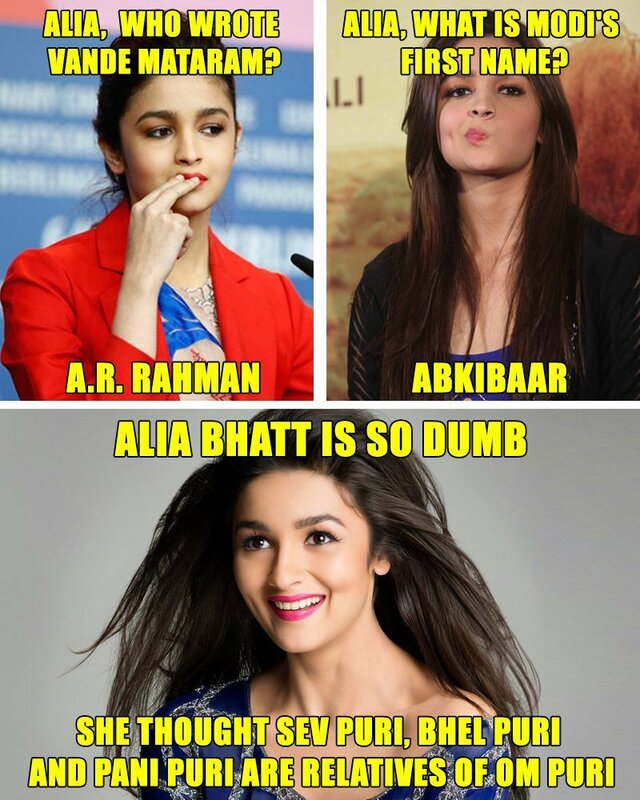 While credit goes to AIB and Alia's PR team, it also takes nerves to spoof oneself. Not many actors would've opted to go ahead with the video, and it was Alia's brave decision that turned the tide in her favour. Soon enough, her acting career took off as well. She may have announced her arrival with SOTY in 2012 but it was in 2014 that she confirmed that she was here to stay. She starred in three movies, all of which went on to do well at the Box Office: Highway , 2 States and Humpty Sharma Ki Dulhania . 2 States and HSKD were out-and-out romantic comedies and while Alia delivered stellar performances, it was something she had already shown her prowess at in SOTY . Her chemistry with Arjun Kapoor and Varun Dhawan respectively was solid too. But it was in Highway that she really stole the show. She played a lonely teenage girl who develops Stockholm Syndrome after being kidnapped by the character played by Randeep Hooda. Unlike her previous three movies, this role demanded a lot of depth and variation from her character who evolved as the movie progressed, and Alia did not disappoint. Rachit Gupta of Filmfare was impressed: At 20, it’s surprising how Alia has got so many deft nuances right. It’s as if the actor has grown with the character. She is truly one of the most promising new actors in Hindi films. Sonia Chopra of Sify.com also had kinds words for Alia: She is completely immersed in her role. Her uninhibited and raw performance will have you emotionally invested in her character all through. Versatility is the name of the game if you want to survive and thrive in a cut-throat industry like Bollywood. Apart from being an actor, Alia also turned singer , recording the unplugged version of the song Samjhawan for HSKD . While she defines the next gen actors of pouts, selfies and dubsmashes, she's also the kind of person who believes in standing up for a cause. At a time and age when safety of women is a topic of prime concern in the country, she teamed up with Vogue Empower for a women's safety awareness campaign. In fact, she stands for whatever cause that she feels for. Another endearing feature about Alia is how she effortlessly connects with her fans. While several stars use social media channels these days to reach out to their fans, Alia is constantly active on Twitter and Instagram and makes it a point to regularly interact with her followers. And to think she's achieved all this at just 22. We can't wait to see what she has in store for us. As of right now, she has a few interesting projects lined up including Shuddhi, Udta Punjab , Kapoor & Sons as well as an untitled movie with Shah Rukh Khan. But all that is for the future. Her next movie Shandaar releases this Friday. And you can rest assured that Alia will steal the show yet again.